← What Makes a Character a Favorite? Don’t feel bad about not reading HP. I haven’t either, hahah. I mean, I’ve read up to HP and the Prisoner of Azkaban, but I haven’t read anything past that. xD I feel pretty pathetic, but that just motivates me to read it more. I’m glad that you enjoyed the first installment! I did too. I loved the world-building like you did because it Rowling created such an elaborate world parallel to our own. It’s amazing. Well, at least you’ve started! And books 5-7 are pretty thick! I’m a little intimidated by them! But if they’re really awesome I’m sure I’ll be happy to read all the pages! Thanks; I’m looking forward to reading more! I’d say that books 1-3 are more middle grade, and the more mature (and darker) stuff comes from books 4-7. But like you said – the first few books are still enjoyable because of the simplicity; you get to see the characters grow up each year and get a more complex story with each book. Yeah, I’m really looking forward to watching them grow up over the years! So glad you liked it. The characters, like real children, get more and more interesting and complex as they get older, so I think you begin to connect, especially by book 3. That’s what I keep hearing, so I’m really looking forward to book 3 and all that follows now! It seems a lot of people have read the books over and over again! It’s amazing they have that kind of timelessness about them. I read the first four books in four days, so I really didn’t see each book as it’s own separate story at the time. But reading your review is making me want to reread each book and really savor the story to understand how the characters develop. I think the films have taken over how I see the characters so it would be interesting to revisit the book. I’m so glad that you enjoyed the first one Amy, really looking forward to your reviews of the rest! It’s amazing when I see pictures from the movies and see how much those kids grow up over the years. I mean, it makes complete sense, because it’s like 7ish years, so that really makes me anticipate watching them grow in the book. Really happy that you enjoyed this one so much. It really is a magical series and one of the few I can gladly revisit again and again. I look forward to reading your thoughts on the rest of the series! I’m glad I enjoyed it too; I would really hate to be the black sheep for Harry Potter! I’m glad you enjoyed it so much. I agree the world building is epic and the further you read into the series, the more you really appreciate what JK has done. And yes book 3 is the one that made me a fan for life. The first two I really enjoyed but book 3 got a lot darker and I loved that. The best thing about the first book is the fact that it introduced this amazing world almost perfectly. It draws you in and you never want to leave. 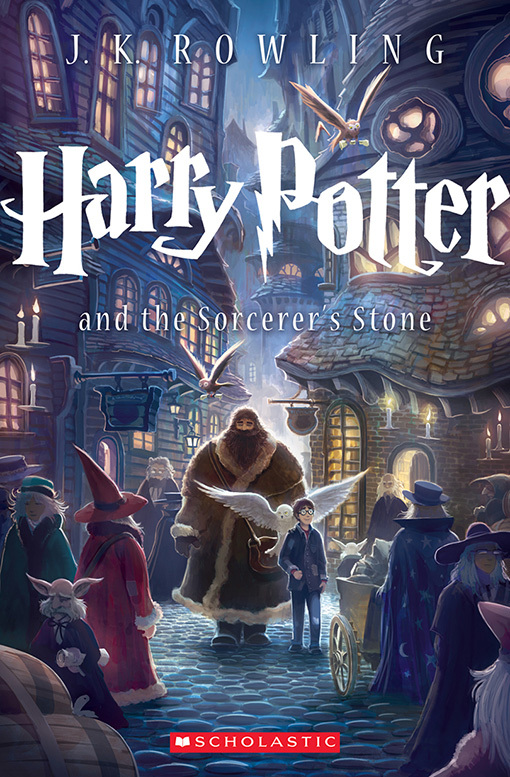 CONGRATS ON FINALLY READING HARRY POTTER THE PHILOSOPHER’S STONE! YAY *throws confetti*. I’m glad you really did enjoy it even though it was meant for a younger audience. It’s awesome that anyone can enjoy Harry Potter at any age! I agree! I think a great story transcends age, no matter what the writing style or characters’ ages! Harry Potter! *dances* I love Harry Potter! These books basically are my childhood, when I was little I would save up all my money and then -when I had enough- I’d go to the book store with my mom to buy the Harry Potter books. Little me, paying for the books myself, and then read and reread and read them some more. I’m super glad you liked it! These books are timeless, I hope you enjoy the others as well! What a great story! And based on all the enthusiasm I hear, I imagine I will enjoy the others!